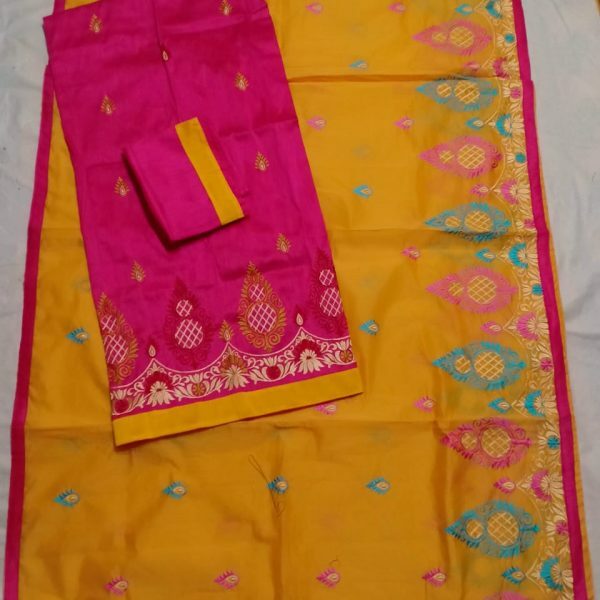 Chanderi Cotton Mekhela Sador set in Pink and Yellow Contrast is with beautiful design. 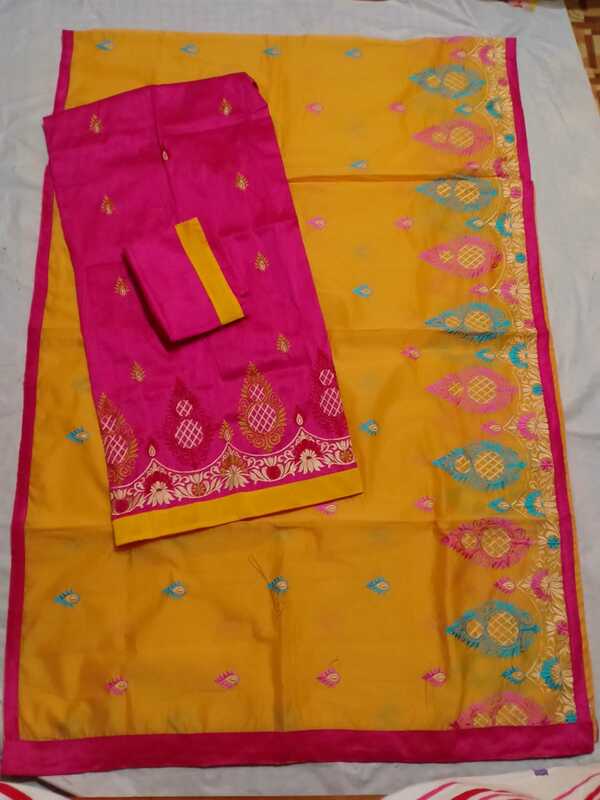 Sador has embroidery work in Pink and Blue colour and Mekhela is in Pink colour with beautifully designed work. 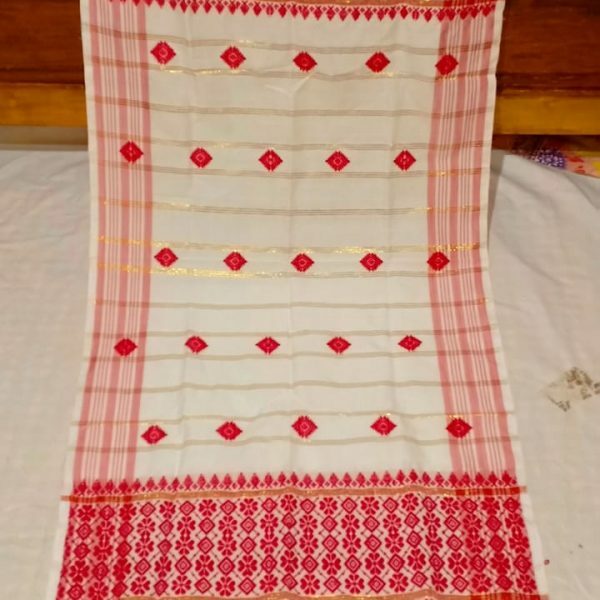 clouse piece is available in Pink colour with Side border. Women of middle ages,girls can wear this mekhela Sador set occasionally. 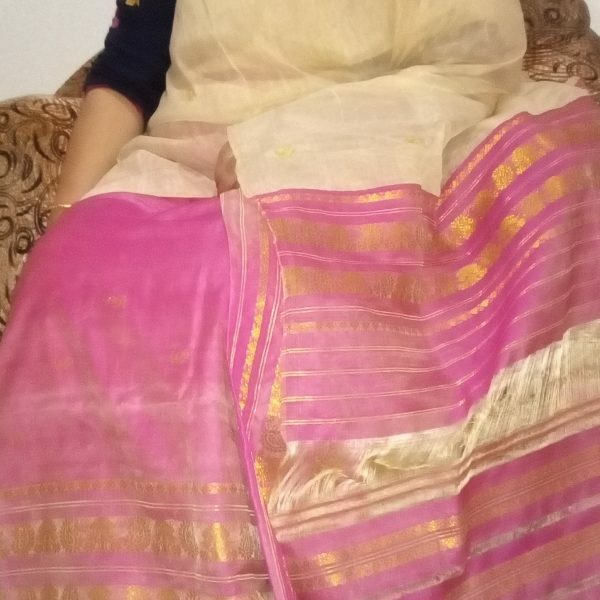 Comfortable to wear this Mekhela Sador.